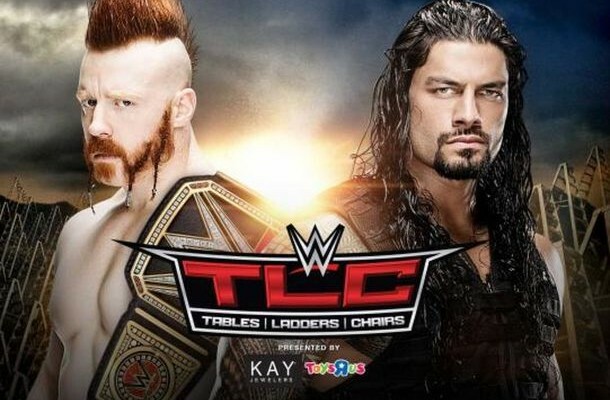 IS EVERYONE EXCITED FOR WWE TLC 2015 FEATURING ROMAN REIGNS VS SHEAMUS? IS ANYONE EXCITED FOR WWE TLC 2015 FEATURING ROMAN REIGNS VS SHEAMUS? It actually should be a good card in all honesty. Yeah WWE is underwhelming at the moment but you know Reigns and Sheamus are going to go out there and really prove themselves. You’ve also got the potential for some great matches for different reasons – such as the tag team title match and the Ambrose vs Owens match. It’s one of those PPVs where honestly leading up to it we were sorta “eh” – but as it’s getting closer we’re getting excited for the wrestling aspect of it. The storylines and so on? Not so much – but the wrestling aspect should be good and that’s what it’s all about. Sheamus (-290) vs Roman Reigns (+210): With the League of Nations going on, as well as Sheamus being a new champion – we think his title reign will be lasting just a little longer. We can see them holding off a title change until the Royal Rumble and -290 seems like a good price. We just can’t see the title change on a small PPV like this. Kevin Owens (-280) vs Dean Ambrose (+200): This is one we don’t like betting on. Owens looks solid as the champion but Ambrose is pretty damn awesome too. We think WWE will want something that isn’t “paint by the numbers” on this show and a title change could be it. We just can’t justify betting Ambrose to do it though because Owens has been solid. There’ll be a title change on this show for sure – just don’t think this will be it, but don’t like risking Owens to win. The New Day (-210) vs The Usos (+230) vs The Lucha Dragons (+700): This is where we’re going to bet on a title change. Honestly we hate it and we hope we’re wrong – New Day NEED the titles. We saw that recently with the Prime Time Players when they briefly won them. But the Usos are back and strong and this could be the one. We’ll wager on the Usos to win the titles here. Charlotte (-530) vs Paige (+350): They’re building Charlotte strong and taking the title off her at this point isn’t the best thing. Especially with Ric working with her – we like her reign carrying on longer as she builds to be an out and out heel. But the odds aren’t worth it. Wyatt Family (-550) vs ECW Originals (+350): Wyatt Family will win – but odds not worth it. Dudley Boyz have already been shown to be nothing more than a nostalgia act who are there to do the job. But we can’t risk it at that price because it’s an easy pop. Alberto Del Rio (-380) vs Jack Swagger (+260): We personally don’t usually bet these odds – but Del Rio at -380 sure why not. It’s a Chairs match so no real reason for a DQ finish. We’ll take Del Rio here. Rusev (-190) vs Ryback (+150): Rusev is being built up strong and we think he’ll win here. 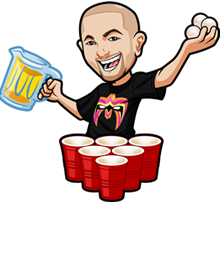 In saying that we have quite a few heels already winning so Ryback could be easily justified. We’re going to play it safe and stay away from this one.